Need a Great Mechanic you can trust? Sergeant Clutch Certified Engine & Transmission Repair Shop located in San Antonio, Texas welcomes you to our website. We are a family-owned and operated full service automotive and transmission repair center with over 75 years of experience. Sergeant Clutch Certified Engine & Transmission Repair Shop always strives for 5 Star Reviews. We are an Accredited A Plus Better Business Bureau Member. The friendly professional mechanics at Sergeant Clutch are highly trained to quickly spot any problems with your automobile. From a no start problem, overheating problem, engine problem, clutch problem, brake problem, transmission problem, transfer case problem or differential problem, new tires and used tires count on us. As heard on KTSA AM550 and WOAI AM1200 Sergeant Clutch Certified Engine & Transmission Repair Shop has a great reputation. We pledge to offer Good Customer Service, Quality Auto Parts, Professional Auto Repairs, Fast Service, Great Warranty, Discount Prices and Payment Plans. We look forward to meeting you and servicing and repairing all your vehicle needs. At Sergeant Clutch we promise to do our best for you every day. Sergeant Clutch customers are always welcome to visit the shop and review what repairs are needed and recommended. Our staff is always willing to show the parts you need and if you want the old parts just request the old parts at the time of service authorization. Sergeant Clutch Certified Engine & Transmission Repair Shop is available to assist you Monday – Friday 8:00am till 6:00pm and on Saturdays 9:00am till 5:00pm. Give us a call today and see how much you could save on your next repair. Call today 210-239-1600. Ask About 6 Months Interest Free! Service Engine Soon Light On? 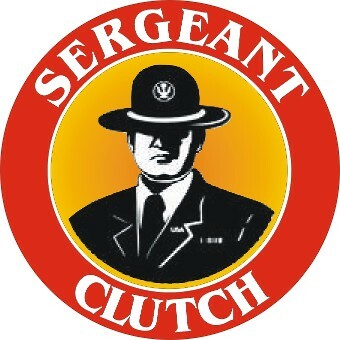 Sergeant Clutch understands the importance of your automobile to get you back and forth to work, school, medical appointments and the grocery store. Without a properly running vehicle lives can become more complicated. It’s imperative that your car, truck, van or suv stays in its top running condition. Proper vehicle maintenance and repair service are essential to maintaining your automobile. But like most drivers on a budget any auto repair can be a financial burden. That’s why Sergeant Clutch offers several payment plans. Ask About 6 Months Interest Free! Today’s cars, trucks, vans and suv’s are loaded with high tech gadgets, sensors, solenoids and complex computers. Sergeant Clutch Certified Engine & Transmission Repair Shop employs a team of Certified Professional Mechanics that use high tech state of the art equipment and tools to diagnosis and repair your domestic or import vehicle correctly. We will take the time to properly diagnose any problems and inform you of your repair options. Get the quality personal service you deserve stop by our shop or call us at 210-239-1600. 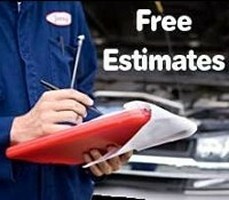 Do you have an Auto Repair Estimate and not sure if the price is too high? Call or come by Sergeant Clutch Certified Engine & Transmission Repair Shop for a Free 2nd Opinion and Estimate. Find out why Sergeant Clutch Certified Engine & Transmission Repair Shop is highly recommend by friends and family. We are conveniently located on the Northeast side of San Antonio, Texas off IH-35 at 6557 Walzem Road at the intersection of New World. Stop by our huge 6,600 square foot complete automotive repair center and notice how clean, inviting and customer friendly we are. That’s the Sergeant Clutch Difference! Call 24 Hours @ 210-239-1600.